It is recognised at Barn Owls that during a child’s day, they are developing a love for learning. We acknowledge parents as the most important influence on their child’s experiences. 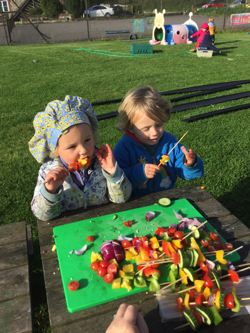 We aim to support parents, by providing stimulating, absorbing activities to promote and challenge a child, to share in the excitement and joy of each discovery. We observe, while each child is busy investigating, they are unknowingly preparing themselves for the future. Learning is a continuous, life long journey, which we are privileged to be involved in, from the very beginning. 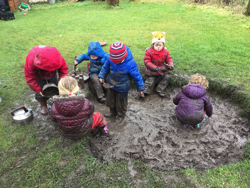 As we have a large outdoor area our aim is for the children to be outside for a majority of the day, offering opportunities to stimulate their interest and curiosity. We observe how important outside play is to a child. Mud plays a vital role in a typical Barn Owls day, we are very lucky to have a well equipped mud kitchen. 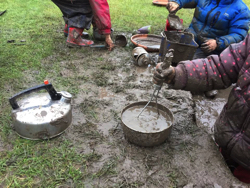 We encourage the children to investigate mud, recognising just how important it is to a child's overall development. All meals are provided. At snack time there will be fruit and a drink of milk or water, lunch will be a 2-course meal, freshly cooked on the premises. If your child has any special dietary needs these will be catered for. Afternoon tea will consist of a hearty snack. Menus for the week are on the notice board and emailed to the parents. 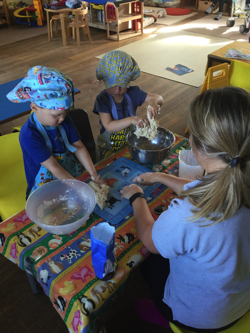 The children 'cook' with an adult at least twice a week. Often they make lunch and this has proved to be very popular! If your child has a food allergy or serious intolerances to certain foods then please state this on your registration form and verbally inform the Manager. We provide alternative meals and snack in accordance with the child’s allergy. 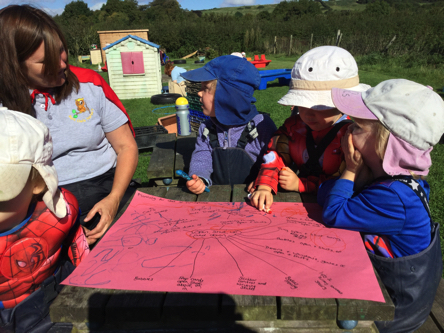 The children’s activities are planned to follow the Early Years Foundation Stage. 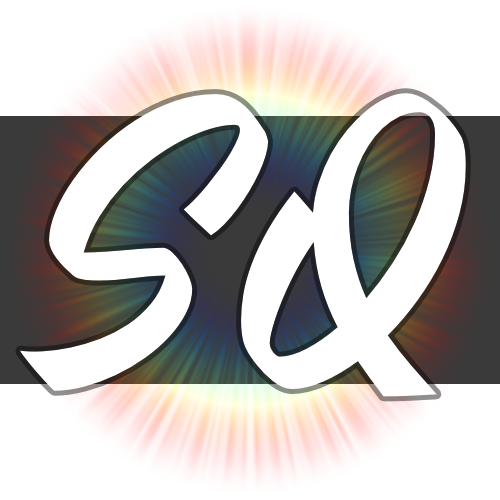 The following areas of learning are covered: Personal, Social and Emotional Development; Physical Development; Communication and Language; Literacy; Mathematics; Understanding the World; Expressive Arts and Design. We encourage child initiated play at all times, understanding how important this is to the individual child’s development, by recognising this, children’s choices and contributions to activities are listened to and, when possible, accommodated. We aim to do this by having regular planning meetings with the children.